In Extenso Press (Chicago, 2015). Most Catholics are sick and tired of news about priests who abused children and bishops who covered up for them. So a good many may not welcome a mystery novel about the same. This, however, is no fictional attempt to rehash decades of old news. Rather, “Master of Ceremonies” is at once informative, entertaining and inspirational. The author, Father Donald Cozzens, is writer in residence at John Carroll University, a Jesuit school in suburban Cleveland. He has served as vicar for clergy and rector of a seminary, among other assignments; and he knows how to put together a page-turner that may well keep you up past your bedtime. The story takes place in Baltimore in 2007. Retired Archbishop Wilfred Gunnison finds himself the object of attention from a recently retired army sniper, Mark Anderlee. Decades ago, when Mark was a pre-teen, then-Father Gunnison abused him, leaving the boy traumatized. Now Anderlee is out for revenge and Gunnison is paralyzed with fear. Father Cozzens’ characters are as realistic as your next-door neighbor. Other central figures are Archbishop Charles Cullen, current shepherd of the Archdiocese of Baltimore; Msgr. Aidan Kempe, archdiocesan financial vicar and chancellor, bitter at being passed over for being made a bishop; former archdiocesan master of ceremonies and recently appointed Auxiliary Bishop Bryn Martin; Margaret Comiskey, a veteran lay employee of the archdiocese and Mark Anderlee’s aunt; “M,” a Vatican-based cardinal at the center of a secret international society populated by priests and bishops who are self-appointed guardians of orthodoxy; and Giorgio Grotti, aka Msgr. Giancarlo Foscari, who does M’s bidding, even to the point of committing murder — “for the good of the church,” of course. The story takes more than a few unexpected twists and turns. Just when the reader thinks the next development is obvious, unexpected characters appear and familiar personages behave in unpredictable ways. Margaret Comiskey, when she learns that her nephew was abused many years ago by the archbishop she respected and served for decades, becomes a different person, one with mayhem on her mind. Her nephew, Mark Anderlee, also makes choices beyond predicting. As for Archbishop Wilfred Gunnison, well, he may not be who the reader thinks he is, either. 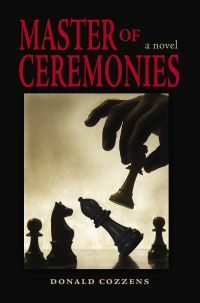 “Master of Ceremonies” is a finely crafted novel that deserves many readers. Yes, it’s about the sins of a priest, the corruption of others, and justice that arrives in due time. But it’s also about faith, courage, lessons learned, and the wisdom of forgiveness and mercy. It’s also about the need for honesty and openness from church leaders when times are darkest. Apart from good reading for anyone, “Master of Ceremonies” is a great option for parish reading groups. Also of interest: “Behind Closed Doors: Conflicts in Today’s Church” by Bishop Francis Anthony Quinn. Xlibris (Sacramento, California, 2014). 473 pp., $34.99. Finley is the author of more than 30 books on Catholic themes, including a bestseller, “The Rosary Handbook: A Guide for Newcomers, Old-Timers, and Those In Between” (The Word Among Us Press).